A plug-in petrol-electric hybrid will be the fourth variant in Jeep’s new Wrangler range, unveiled today at the Los Angeles motor show. 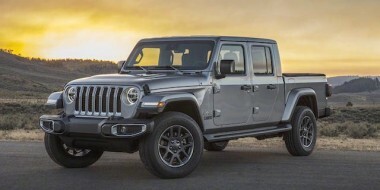 The JL-series Wrangler will go on sale in New Zealand next year with the choice from launch of two engines, V6 and four-cylinder petrol units. The V6 diesel will land here in 2019 and the hybrid in 2020. The petrol and diesel engines will have a stop-start function and the choice of an eight-speed automatic gearbox or six-speed manual. 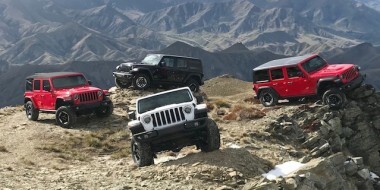 Jeep CEO Michael Manley told reporters in Los Angeles that the plug-in Wrangler would help to both future-proof the vehicle and allow serious off-roaders to explore the benefits of electrification. He said Jeep engineers were wrestling with how to deploy electric power in the Wrangler, whether it would work on one axle, or both. He added that packaging the plug-in batteries would not affect water-fording depth or off-road ability. “We need to make sure we balance the gas (petrol) engine and the hybrid to deliver the torque as we need it, at the time that we need it,” he said. 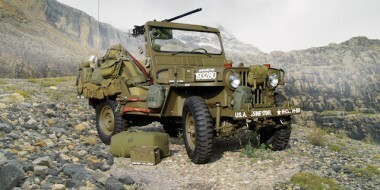 Manley said the decision to begin Jeep’s hybrid programme with the Wrangler was to guarantee a long-term future for the iconic nameplate, as emissions and fuel standards become tougher to meet. “When you think about appropriate use of electrification – particularly the torque management in the low end – if it’s deployed in a way that it can help to control that torque, it would enhance our vehicle’s capabilities and get the added benefit of fuel economy,” he said. Meantime, the current 3.6-litre Pentastar V6 petrol engine is being upgraded for the 2018 Wrangler. Changes include slightly more power and torque. It will be joined from launch by a turbocharged 2.0-litre four-cylinder petrol unit delivering 200kW/395Nm. The optional 3.0-litre V6 diesel comes from the Cherokee range. 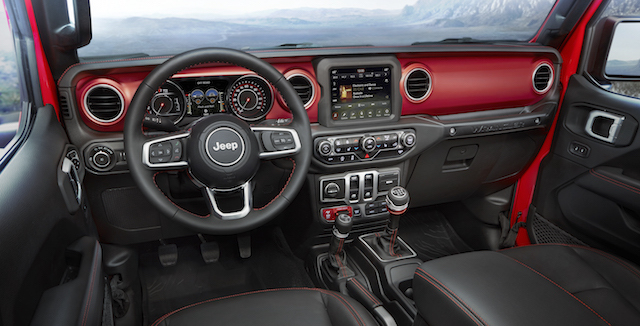 Jeep says it will produce 195kW and almost 600Nm of torque in Wrangler.